It has been a very exciting and busy year at the PEI Literacy Alliance. Last summer was their 16th year running their free tutoring program that has helped more than 11,500 children. Then, in October 2017, they were nearly forced to close their doors. With the Province’s generous support and two-year commitment, they are still here. However, they still need to raise more funds to be able to continue offering their free programs. Over Christmas, they launched their first Give the Gift of Literacy Campaign and raised more than $36,000. The Staff, Board and Volunteers of the Alliance are passionate about literacy in PEI and continue to work hard to keep the services of this organization going. This new website is part of that work. They timed the launch of their new website to come a few months before their biggest annual fundraising. 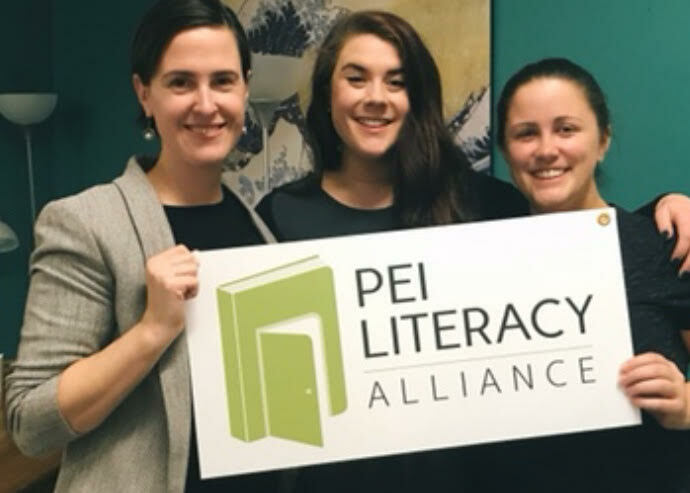 If you want to support the Literacy Alliance, check out their new website at www.peiliteracy.ca and find out ways you can become a partner and join them as they work to advance literacy for the people of Prince Edward Island. One way is donating or registering a team for their upcoming annual fundraising – the 28th PGI Golf Tournament for Literacy on June 8th 2018.